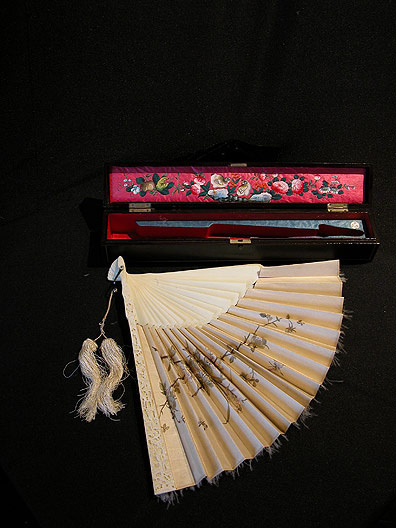 Embroidered textile and ivory fan with box. 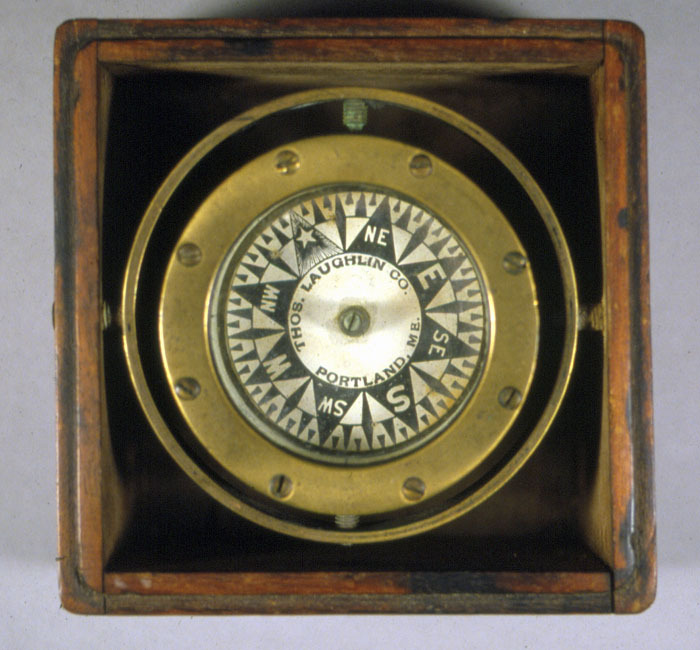 Triangles provide a simple and inexpensive alternative to the parallel rule for transferring a bearing or course from the compass rose to the ship’s position on a chart. 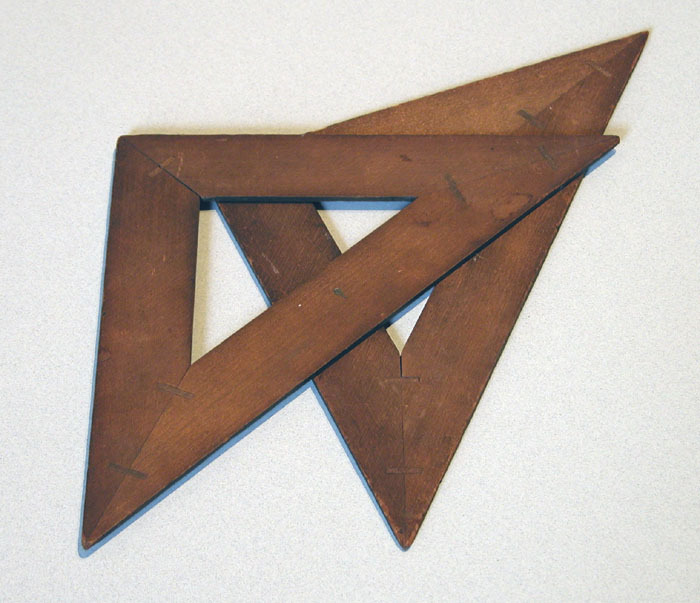 These triangles are made of wood. 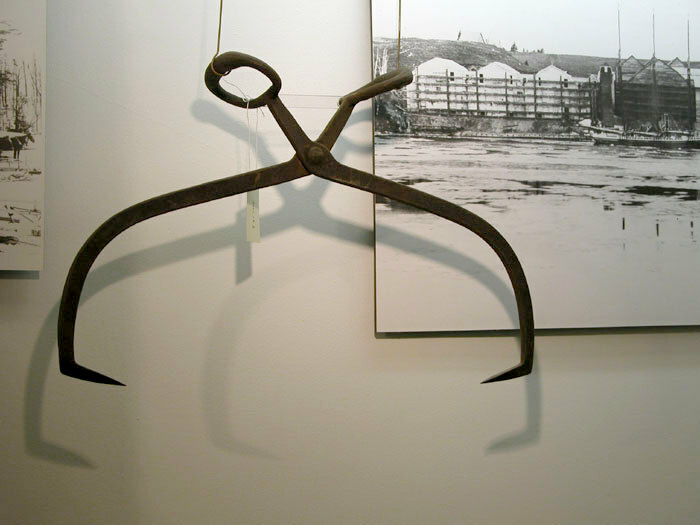 Ice tongs were used not only in moving large blocks of ice in and around the ice house, but also by the person delivering ice to residences before there were refrigerators. 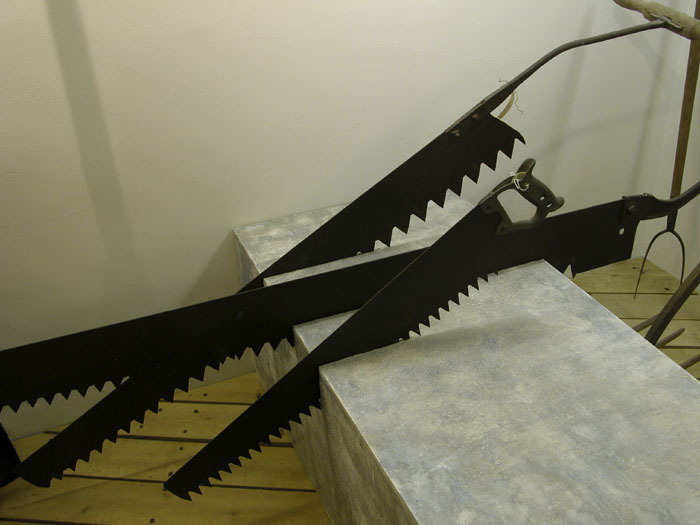 Ice saws were used in the ice industry by one man for the purpose of cutting through the ice to make ice blocks. 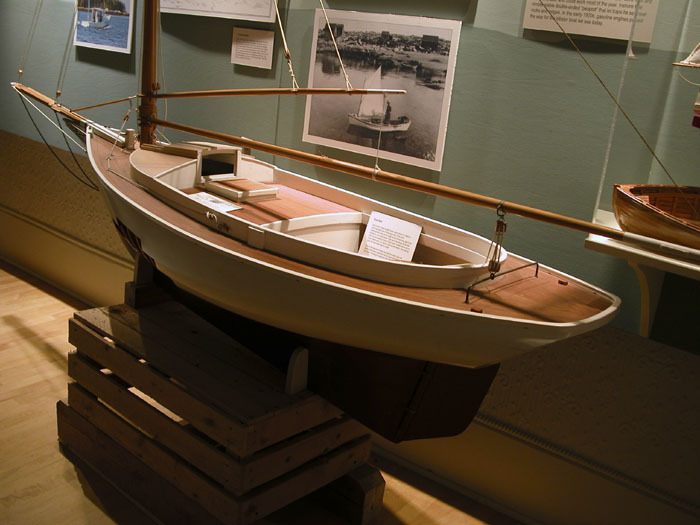 Full model of a Friendship sloop, used for fishing in the mid-coast Maine area. 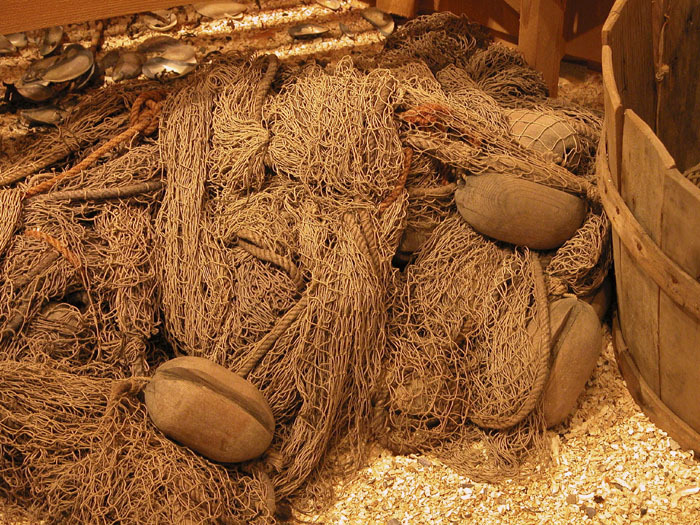 It is an evolution of the Muscongus Bay sloop. 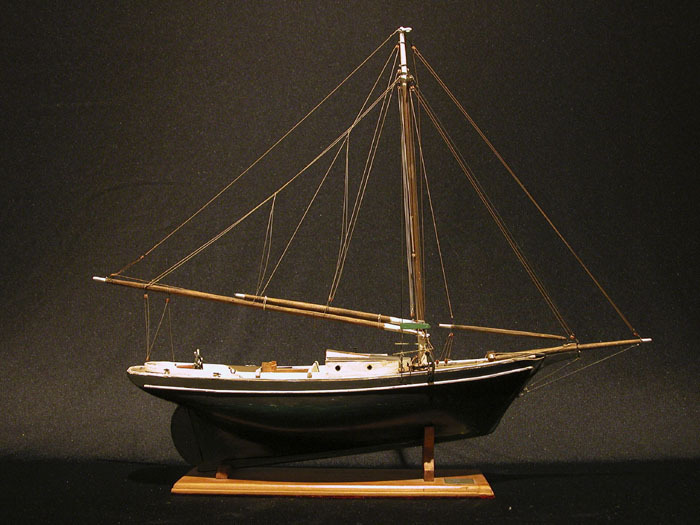 The Friendship sloop became a popular design type in the 1890s. 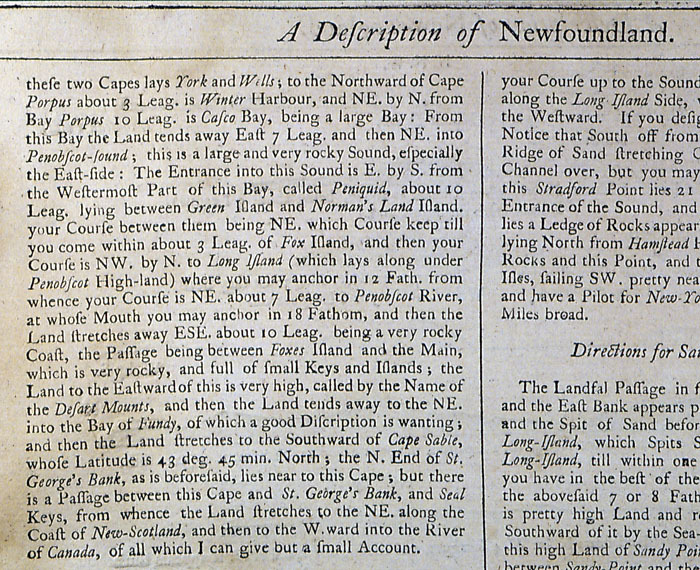 This is an example of the sailing directions included in The English Pilot, Fourth Book. 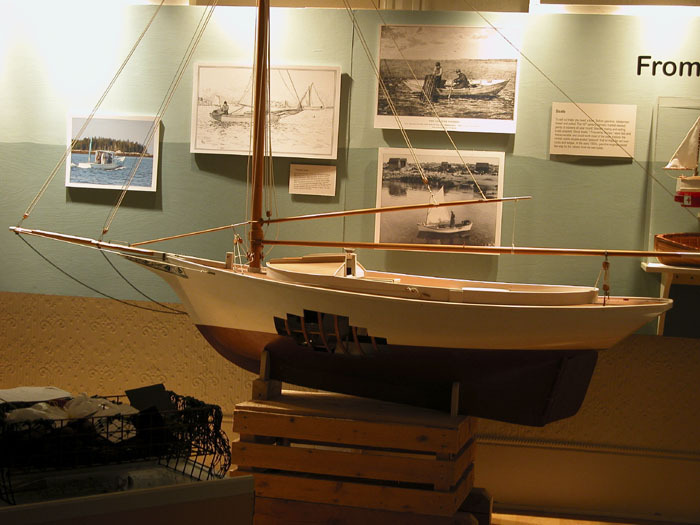 They describe sailing along the Maine coast, though the top of the page says Newfoundland. 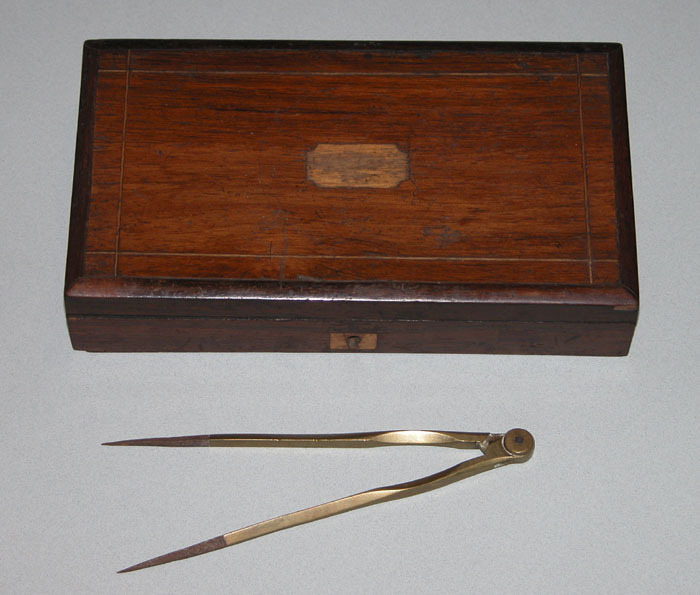 See online at Boston Public Library electronic access.